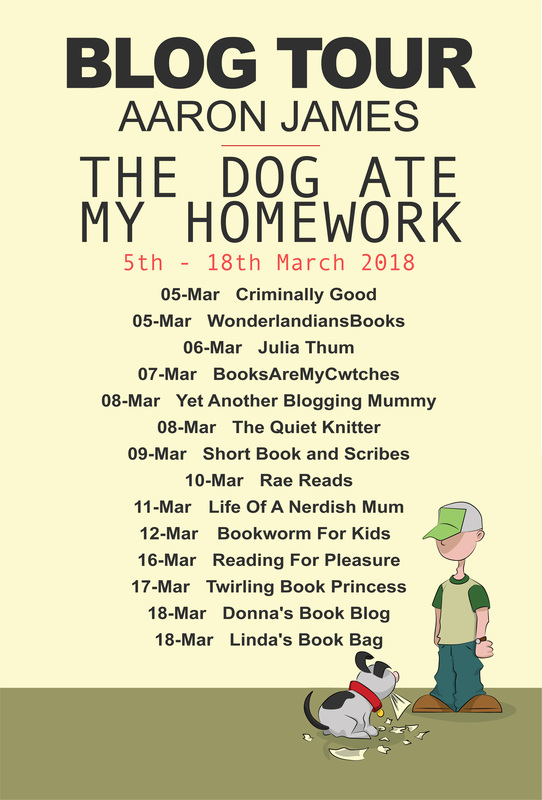 Welcome to my stop on the blog tour for The Dog Ate My Homework by Aaron James. Thank you to Rachel Gilbey from Authoright for asking me to take part and for providing the review copy. 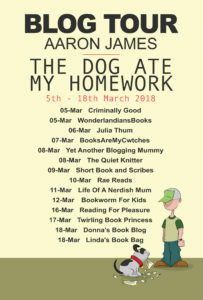 The Dog Ate My Homework is a book of five poems for children. Each one has six verses and they rhyme. I do like my poems to rhyme. I think they flow better like that and somehow make more sense to me. My particular favourite is First Day At School, probably because my son’s first day at school is fast approaching and it’s a bit scary for me as a parent. So I think I will read this poem to him in the run up to him starting to remind him that all will be fine (and to try and convince myself as well!). I thought this book was really endearing. It focuses on things that children like (new trainers) and things that happen at school, such as homework, sports day and school dinners. Its lyrical style is very appealing to children, it has lovely, bright illustrations and overall it’s a really sweet way to get children interested in poetry. Born and raised in Tottenham, North London and today living in Bromley, South London with his wife, Aaron James works as a poet and spoken word artist. 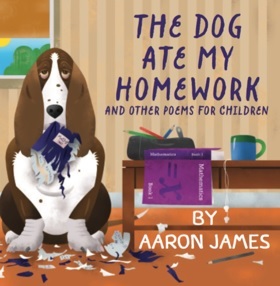 The Dog Ate My Homework is his first children’s poetry book.